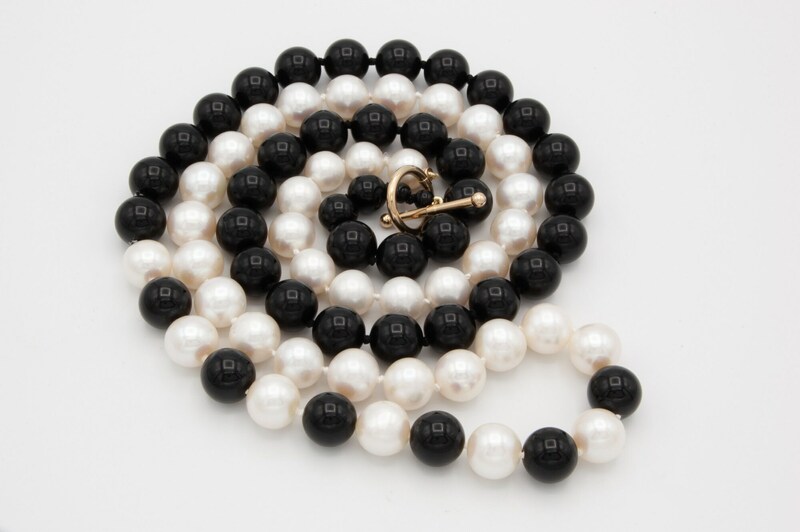 This smashing rope of fine spherical freshwater cultured pearls of high luster with pale rosé hue plays against the dark beauty of fine black onyx beads. This enchanting necklace was designed by our owner Paul Michaels and is very unique and versatile exhibiting a real interest in negative/positive space relationships. Geometry in motion. Everything about this piece bespeaks quality. 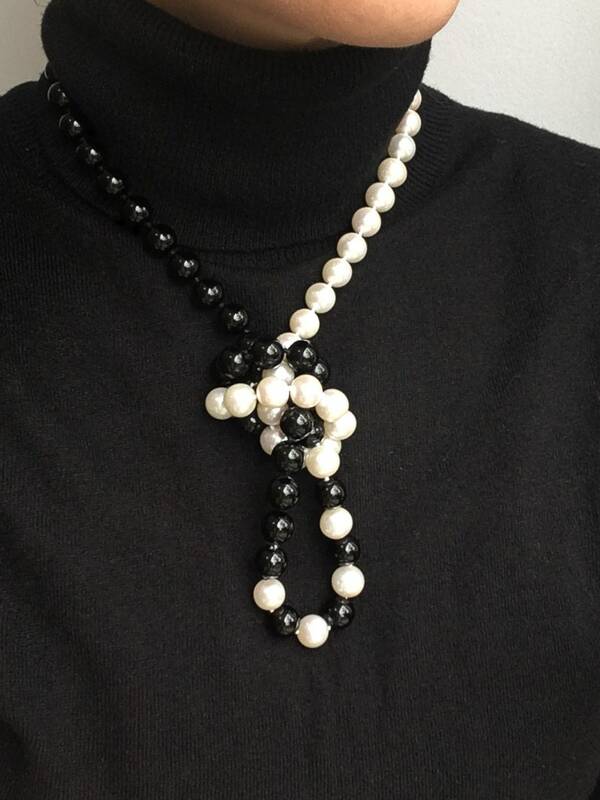 - Strung on Silk cord with knots; Pearls on white silk, Onyx on black silk. 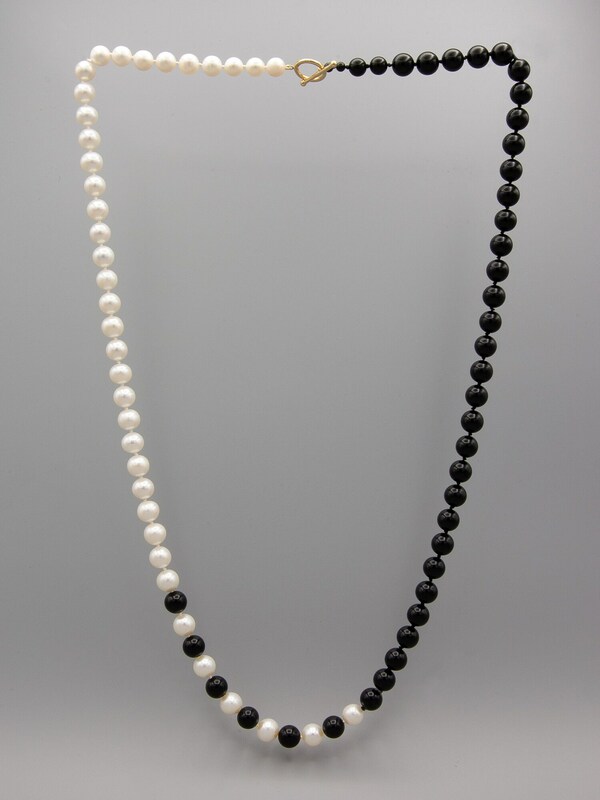 - Great Length: 34 1/2 inches can easily be doubled as a two strand necklace. - 14K Toggle catch is of generous size and exceptionally easy to use. 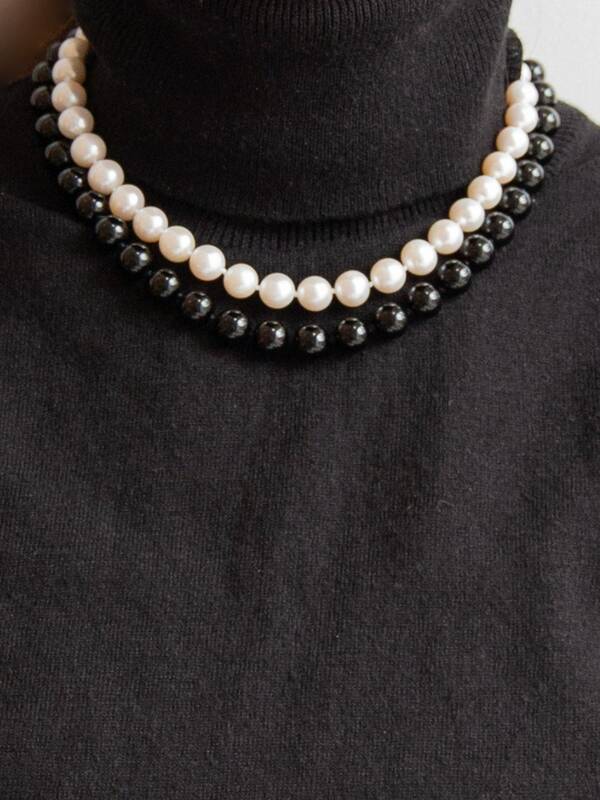 - Most freshwater pearls have little to no luster, and not spherical and have a dead-white color. - Arrives in a Pearl Folder for safe keeping and easy travel! 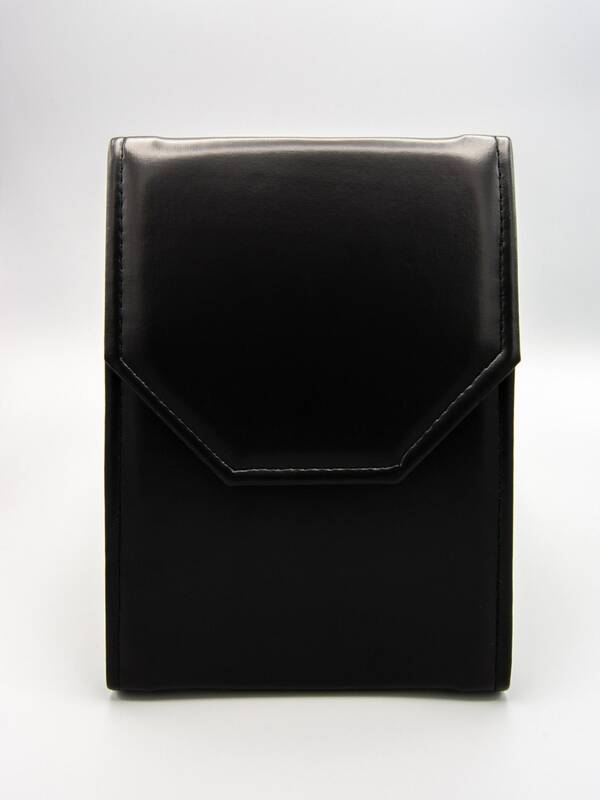 Items made in our own workrooms will always be of top quality. Even vintage and antique pieces can be altered to suit your tastes if you wish. We are very conscious of the reputation we have gained in over 50 years in business in the same location and truly believe that the customer is always right. Please feel free to phone us at 716-886-1300 with any questions or concerns you may have. Check out our many Google and Yelp reviews.